You don’t need to do anything to join BlogClan, just visit, explore and join in the discussions. You will soon be welcomed as a new member of the Clan! “Hey there! I’m Rosefur, but you can call me Rose! I’ve been around on the Blog since 2015! BlogClan is a great place for Warriors fans, and such a friendly and welcoming place to be! Everyone here is really supportive and kind. Around the Blog, there are also a lot of fun activities to get involved in! I’m the TSGN editor, which means I’m in charge of the Trailing Stars Graphic Novel. It’s an amazing little project, which you can read if you click on the ‘Trailing Stars’ tab and then click ‘The Original Graphic Novel’. If you’ve ever read some of the Warriors manga, or if you’re an artist yourself, or if you just like pretty art, I think you’ll really enjoy the TSGN! I’m always open for questions- both about the TSGN and about the blog- so don’t be afraid to ask! See you around, and welcome to BlogClan! I love drawing, so you’ll sometimes see me taking drawing requests! I have three pets. My cat, Annie, my pug, Theo, and my turtle, Kyle. The Blog can be a tough place to navigate. We have a lot of pages (and secret pages!) that you will soon master. Love to write or read Fan Fiction? Head over to the Fan Fiction Page—a happy, bright area of camp where members exchange their lovely stories! If you do not get a reply about your fan fiction from others immediately, never be alarmed. You’ll be surprised how many times members read fan fiction but don’t reply to it. 😉 If you don’t have the time to write Fan Fiction but have an idea, I recommend you go over to the Fan Fiction Organization Page and rally a team of writers and/or plot advisors to help out! There is also the BlogClan Fan Fiction Project: Trailing Stars. I’m afraid all of the chapters are taken, but if you comment a lot and stay involved with BlogClan, you may be able to write a chapter if a writer is not present. (Try not to ask for a chapter a lot. We’ll let you know if there’s an opening). There is a very special Jar (Jerry the Jar) who eats all of the names entered, who are collectively referred to as Tom. There comes a time, when the writer/editor is absent, that Kate tames the ferocity of Jerry and takes out one of his prized Tom. The name selected takes the position. Have a lot of warrior names that you came up with? In the cool, reserved area of camp that is the Warrior Names page, you can tell members about the lovely names that you came up with and other members rate them. It’s also very fun to make your own name generator—pair letters to prefixes and suffixes and have members match up their name! 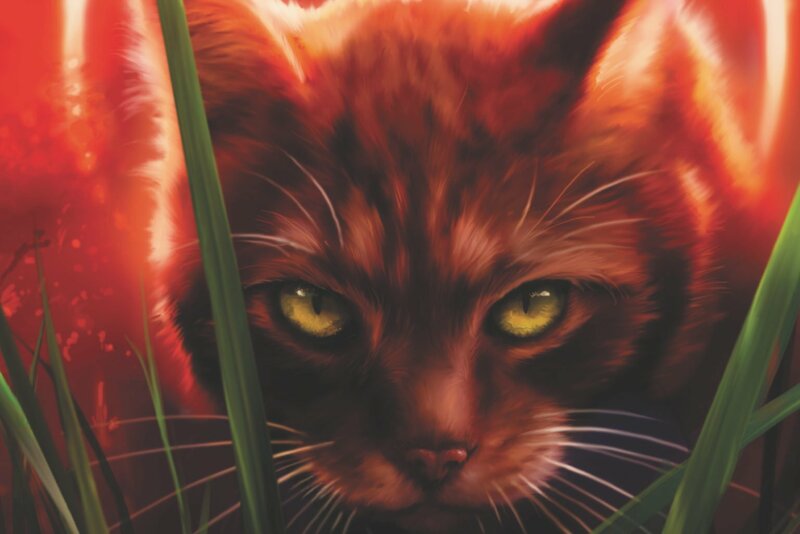 Additionally, join in on the Name That Apprentice game, where you can come up with the best warrior names for (supplied) apprentices and perhaps earn a place on the page’s Hall of Fame! Being a kid in the world today takes everything you got. Taking a break from all of your worries would sure help a lot! Wouldn’t you like to get away? Sometimes you want to go where everybody knows your name! And they’re always glad you came! Head over to the BlogClan Tavern if you’d just like to talk and share stories. The Tavern is a jolly place that is sort of like the fresh-kill pile. Talk about life, share stories, and have fun. If you’re feeling down, I recommend you go to my favorite place on the Blog: The Hug Page. The Hug Page is where members come to be hugged and comforted. A lot of us are victims of bullying sometimes, and really troubles are hard to get past without friends. We’re all friends here, and we’re all willing to give advice and comfort. Are you in a fandom that you can’t stop thinking about? Look for people that share your interests on the I Heart *insert discussion here* Page, or on one of the many different discussion pages (including but not limited to: Pokemon Discussion Page, Musical Discussion Page, Percy Jackson Discussion Page…and so many more)! Just like a fishing pole, toss out the shows, books, or movies that you like and wait for some like-minded people to reel in! There are A LOT of other pages and secret camps set around here, but those are for you to explore! Take a chance, roam BlogClan territory, notify a warrior if you find the occasional badger. (This was meant jokingly. To be assured, no unwanted badger will make an appearance on your computer screen). We’re really glad that you came. You’re going to love it here. BlogClan is full of friendly, sympathetic, amazing people and I think you’re going to find how attached you can get to these people the longer you stay. Also! You may want to spice up your comments with a profile picture! In order to get one, you must go through the Gravatar Site and create an account. The directions on the site will take you through the steps. When you come back with a flashy profile picture (which I recommend you DO NOT UPLOAD AN ACTUAL PICTURE OF YOURSELF. Internet Safety once again!) you’ll look awesome! It might not appear for a few minutes, but give it some time to get adjusted. Lastly, keep in mind that BlogClan is a moderated site. That means that it’s extra safe–super awesome moderators make sure every comment is safe before it appears. That is why your comment does not show up once it’s posted. Trust me, the wait is for the best. Moderators keep BlogClan safe. Give them a salute whenever you see them! 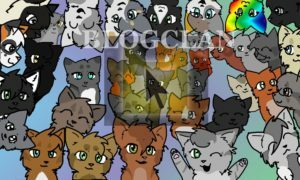 You can introduce yourself to BlogClan on the “Say Hi…” page. We’d love to hear about you, and are glad to have you on board!